Getting ready for the holidays means more than buying gifts and preparing elaborate meals. Whether you’re hosting guests or hitting the road, there are several steps you should take to get your house holiday-ready. Here are seven tasks to put on your prep list so that you can enjoy the holiday season to the fullest. While everyone should do some extra cleaning at this time of year—if only because you need space to store all those new gifts—it’s especially important if you're hosting guests during the holidays. Even if you don’t have relatives staying overnight, the guests at your holiday party will still need to stick their coats somewhere, and you don’t want all your excess junk falling on top of them the moment they open a closet. 2. BABY- AND PET-PROOF YOUR DECORATIONS. Holiday decorations can pose risks to children and pets. Both tend to be attracted to the delicate ornaments hanging on the bottom branches of Christmas trees, for instance, as well as to sparkling tinsel and ribbons that can be choking hazards. Cats may feel tempted to try to climb your tree, and your dog’s wagging tail can easily wreak havoc, too. To keep your tree safe for pets and small children, stay away from tinsel, and put only shatterproof ornaments within reach of little hands and paws. Keep in mind that some traditional holiday plants can be toxic, including holly (particularly holly berries) and mistletoe, so make sure those are kept out of reach, too. And when it comes to lighting holiday candles, never leave those open flames unattended. If your holiday decorations include a tree, you’ll need to take a few safety precautions. Christmas trees are a major contributor to house fires, and those fires tend to be even more deadly than other types of house fires. You’ll want to make sure your tree stays as fresh and well-watered as possible to reduce that risk. When you get it home, cut an inch or so off the bottom before placing it in water. Make sure that it always has enough water to cover the base of the trunk. (You’ll probably have to refill daily.) Set the tree up far from heat sources and out of direct sunlight, and consider using a room humidifier to prevent it from drying out. Long strings of lights, blow-up displays, and other trimmings of holiday cheer can be hard on your home electric system. If you really plan to go wild, experts recommend that you bring in an electrician to install an extra circuit to power your holiday wonderland. It’s also a good time to get a whole-house surge protector installed or have the old one inspected. 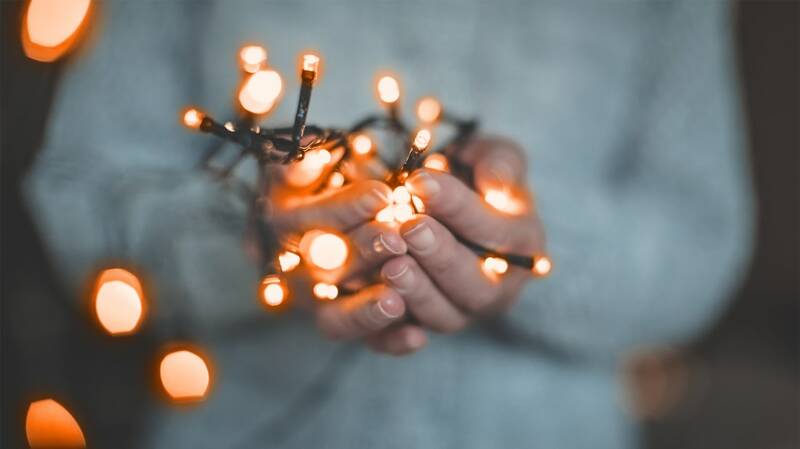 Your all-out display of holiday decorations can put a serious dent in your energy bill if you don’t watch out—or you might forget to turn your lights on at all, meaning no one will get to enjoy your hours of hard work. There are a number of ways to avoid either issue. Photocell timers can sense sunlight, turning your lights on when the sun goes down. They often have multiple settings so that you can program your lights to turn on from dusk to dawn, or for only a few hours after it gets dark. Alternatively, WiFi and Bluetooth smart plugs allow you to monitor your energy usage and control your lights from your phone or home voice assistant. If you want to go with something simple and economical, an old-fashioned mechanical outlet timer will work, too. You just want to make your nightly light show as hands-free as possible. You might forget to flip the light switch, but your timer never will. Before you buy, though, make sure that the timer you’re getting is appropriate for where you want to put it—meaning if you’re going to use it for the light-up Santa on your roof, it needs to be designed for outdoor use. 6. CLEAN OUT YOUR FRIDGE. Whether you’re staying home or hitting the road during the holidays, it’s a good idea to give your fridge a deep clean. If you’re going to be away from home, you don’t want to return to a fridge full of spoiled milk and rotting food. Even if you’re not going anywhere, fridge space can be at a premium during the holidays. For many people, it’s a time of parties and overindulgence, and you probably need a little extra space for meal prep (turkeys and hams take up a lot of room), baking projects, and leftovers. If you’re hosting during the holidays, your guests may also need to store dishes in your fridge before it’s time to serve. If you’re traveling over the holidays, you want to make sure your house stays safe and secure until you return. That means taking all the usual steps, like enlisting a neighbor to pick up your mail and water your plants, lowering the thermostat, and unplugging unnecessary appliances. You probably want to set up some extra security measures like turning on pre-programmed or motion-sensor-based lights to ward off any potential intruders (those Christmas light timers will come in handy) and potentially investing in a home security camera to keep an eye on things while you’re gone. You’ll also want to make sure there’s someone on hand to shovel your sidewalk if there’s a snowstorm. And if you have a Christmas tree, make sure you have a way to keep it well-watered while you’re gone, or recycle it before you leave. While preparing your home for the holidays is a must, making this season extra rewarding is important as well. Discover automatically matches the cash back you earn, dollar for dollar, at the end of your first year. Terms Apply. Learn more at Discover.